Following launch of IDF operation against terror tunnels from Lebanon, Russia backs Israeli right to self-defense - with caveats. The Russian government endorsed Israeli efforts to seek out and destroy tunnels constructed by the Hezbollah terrorist organization from southern Lebanon into northern Israel, but also urged the Jewish state not to take military action inside of Lebanon. On Tuesday morning, Israel announced that it had launched Operation Northern Shield to locate and neutralize ‘terror tunnels’ along the Israeli-Lebanese frontier. Within hours of the initial announcement, the IDF reported that it had uncovered a terror tunnel originating in the southern Lebanese village of Kafr Kila, and leading into Israeli territory. “IDF troops located a cross-border attack tunnel in the southern area of Kafr Kela. At this time, the IDF is carrying out an operational and engineering process to neutralize the tunnel,” an army spokesperson said Tuesday. A day after the discovery, the Russian government said that it backed Israeli efforts to neutralize the Hezbollah tunnel network. "There is no doubt regarding Israel’s right to ensure its national security, including by preventing anyone from entering the country," the Russian Foreign Ministry said in a statement Wednesday. 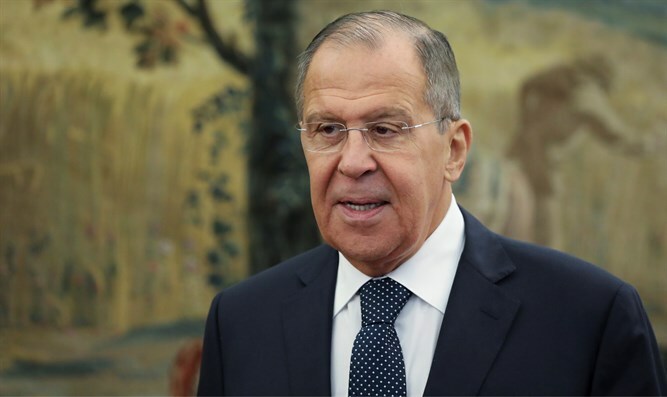 But Russia also signaled that it would not back the use of force by Israel inside of Lebanon, saying that any efforts to neutralize the terror tunnels must be in keeping with the United Nations Security Council resolution which ended the 2006 war between Hezbollah and Israel. The US condemned Hezbollah’s attempts to tunnel into Israel, and expressed support for Israel’s Operation Northern Shield. “The US strongly supports Israel's efforts to defend its sovereignty, and we call on Hezbollah to stop its tunneling into Israel and to refrain from escalation and violence,” said US National Security Advisor John Bolton on Tuesday.